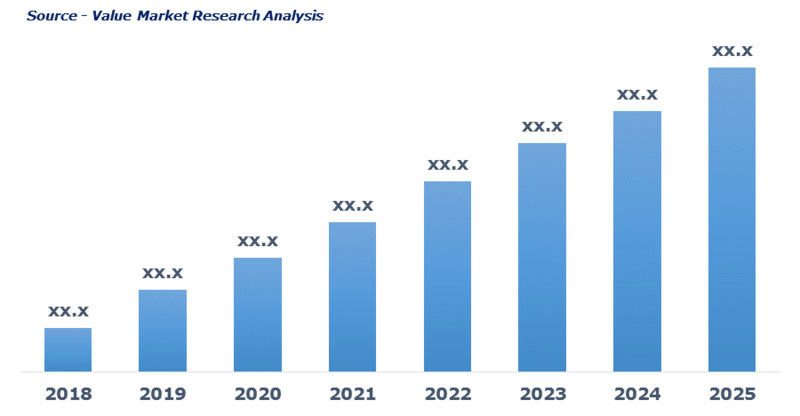 As per this study the Global Paraquat Market was valued USD 118.3 MN (by revenue) in 2018 and is anticipated to reach USD 61.1 MN by 2025 with a CAGR of -9%. Paraquat is a highly toxic compound used as herbicide to kill unwanted grass and weed plants. It is a non-selective, fast killing compound that destroys green cells of weed plants leading to better farm yield. It is also used as pre-harvest defoliant and crop desiccant on crops such as cereals, cotton, beans, sugarcane, etc. Paraquat is toxic for human and animals as well and develops breathing and swallowing related problem when exposed to it. Growing global population followed by increasing global food demand is the prominent factor driving the market growth. Rising demand for better herbicides for better yield quality and quantity is again favoring the market growth. Owing to effective herbicide, crop desiccant and defoliant, paraquat has widened its application in agricultural purpose. However, ban imposed by EU nations and other developed countries on usage of paraquat owing to highly toxic to humans, is restraining the market growth. This detailed market study is centered on the data obtained from multiple sources and is analyzed using numerous tools including porter’s five forces analysis, market attractiveness analysis and value chain analysis. These tools are employed to gain insights of the potential value of the market facilitating the business strategists with the latest growth opportunities. Additionally, these tools also provide a detailed analysis of each application/product segment in the global market of paraquat. The broad paraquat market has been sub-grouped into product and application. The report studies these subsets with respect to the geographical segmentation. The strategists can gain a detailed insight and devise appropriate strategies to target specific market. This detail will lead to a focused approach leading to identification of better opportunities. Furthermore, the report comprises of the geographical segmentation, which mainly focuses on current and forecast demand for paraquat in North America, Europe, Asia Pacific, Latin America, and Middle East & Africa. The report further focuses on demand for individual application segments in all the regions. The report also covers detailed competitive landscape including company profiles of key players operating in the global market. The key players in the paraquat market include HPM, Hubei Sanonda, HuBei XianLong, Kexin Biochemical, Nanjing Redsun, Qiaochang Chemical, Shandong Dacheng, Shandong Luba Chemical, Shandong Lufeng, Sinon Corporation, Solera, Syngenta, Willowood USA and Zhejiang Yongnong. An in-depth view of the competitive outlook includes future capacities, key mergers & acquisitions, financial overview, partnerships, collaborations, new product launches, new product developments and other developments with information in terms of H.Q.